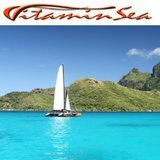 Gems for organizing memorable, best value French Polynesia vacations: when to go, which islands to visit, getting to Tahiti, traveling around, where to stay, booking all inclusive Tahiti packages, what to take. 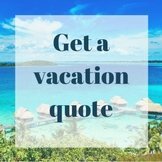 If you have a say in what time of year you get away, the first step is to find out when's the best time to go for a tropical Tahiti vacation. It may depend on what you love to do, and how much you intend to spend. And check the weather chart before you go. 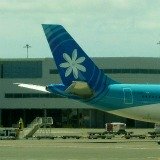 International airline flights to Tahiti are with Tahiti Nui from the west coast of America. South of the equator, you fly Air New Zealand, out of Auckland. All flights to French Polynesia arrive in the capitol, Papeete, on the main island. Air Tahiti, the domestic airline, has hubs in Tahiti, Bora Bora, and Rangiroa, providing flights to all regions. 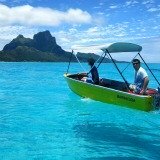 Check out Air Tahiti inter-island passes for great deals to see more than one island. High speed catamarans move people, cars and freight, between Papeete and Moorea every two hours. Fast ferry transports people from Tahiti to Huahine, to Raiatea, then over to Bora Bora and back again, twice per week. Aruanui 111 is the lifeline for transporting goods and people (in comfort) to the outlying, coral atolls of the pristine Tuamotu and Marquesas Islands, where the traditional culture flourishes. 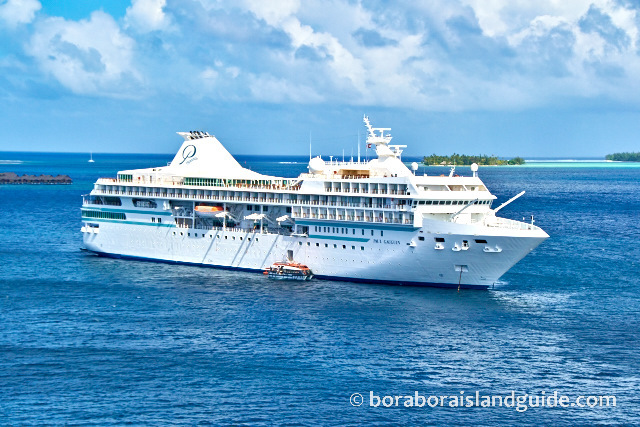 Cruise ship is a fantastic way to boat through the friendly Society Islands. 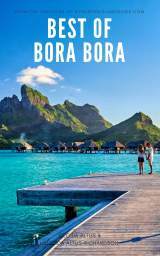 One line sails right across far flung French Polynesia to visit the distant Tuamotu and Marquesas Islands. Which are the best islands to visit? 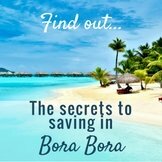 Before deciding, be clear on what your budget is, the level of accommodation you require, what activities will give most pleasure, and how often you want to pack and unpack (as opposed to relaxing on the best beaches in the world). 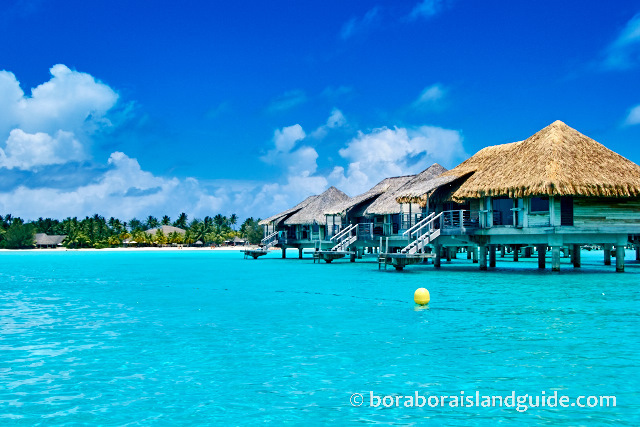 Bora Bora prices are higher, but they're worth it, so if possible include the most beautiful island on earth. There's not many 'hotel rooms', as we know them. 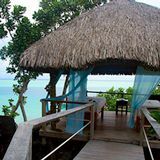 On French Polynesian vacations most accommodation is romantic Polynesian overwater bungalows and villas. Luxurious resorts offer dreamy, thatched roof bungalows, with a choice of locations: over water, on the beach front, in lush garden, or on poles set on the hill-side. Prices are also influenced by how spectacular the view is and the time of the year. 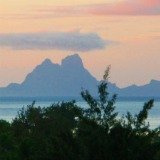 Tahiti Pensions offer (usually basic) rooms and may include breakfast or provide kitchen facilities. You may sleep under the same roof as the host or in a separate building. 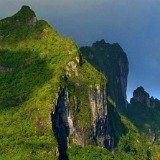 Everyone must travel to Tahiti through Papeete. So Polynesia's main island has larger hotels providing accommodation in block style, supplying rooms and spacious units with kitchens. 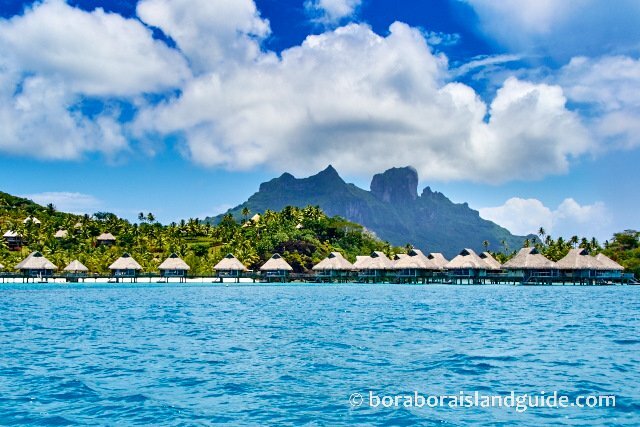 Two Tahiti resorts have over water bungalows, one is set on a beautiful black sand beach and others are Tahiti airport hotels . 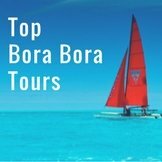 Many visitors to our guide plan to book Tahiti vacation packages, or an all inclusive Bora Bora vacation. The holiday of a lifetime is even more thrilling when you know up front what it will cost and can leave your wallet in the safe. 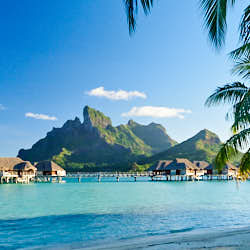 We work with this Tahiti travel specialist when booking vacations to Tahiti. 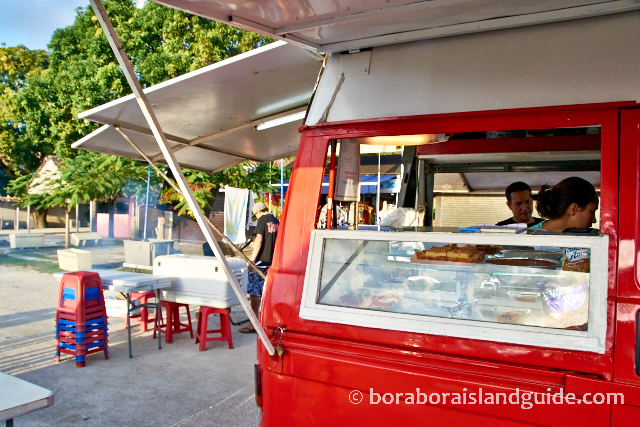 Polynesia's isolation means that food prices are higher than back home. 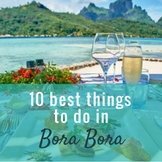 You'll want some useful tips on how to enjoy the best dining, snacks, and value for money, while you explore this exotic part of the Pacific. Eating at a Roulette is a Polynesian tradition and it's affordable! You are heading off to the most remote part of the world, with a different climate and culture. Much of the time there'll be no pharmacy or market round the corner. Find out the essentials you need to pack for French Polynesia vacations. 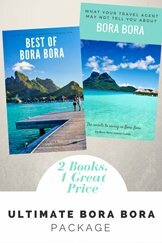 You'll will be rewarded if you do some research before booking French Polynesia vacations. 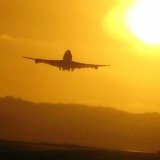 There are many things to know which most travel agents won't be able to tell you. 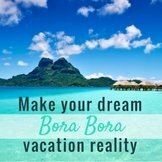 Explore the kaleidoscope of choice that puts French Polynesia, Tahiti, and Bora Bora vacations number one on most people's bucket lists. 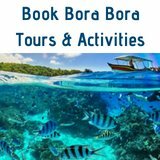 If you don't have the time or confidence to research and book your Tahiti travel use a specialist Tahiti travel agent that only plans French Polynesia vacations. Tahiti Nui Airlines works with a travel agent to periodically offer Tahiti vacation packages which include all airfares, accommodation, transfers and excursions. If you are looking for an all-inclusive package, you will have to design your own. 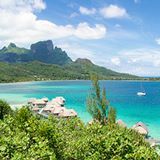 Bon voyage for planning your French Polynesia vacation.